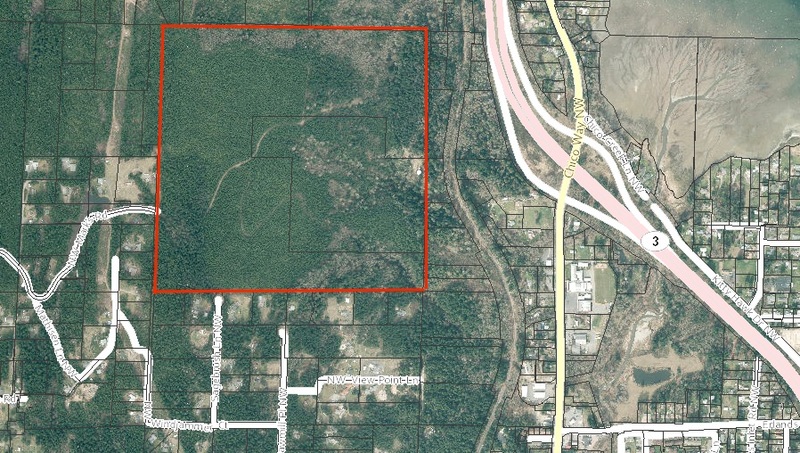 A 150-acre timber tract in Central Kitsap is up for auction in November. The land, located west of the Chico Way/Highway 3 interchange, is being offered by Realty Marketing Northwest with a published reserve price of $625,000. Bids are due Nov. 18. The sale “provides the opportunity to own a highly-productive tree farm, with the added benefit of potential view home sites,” according to the listing in the auction catalog. The property is zoned rural residential. Assessor’s records show the land is owned by Port Blakely Tree Farms. Once a major landowner in the county, Port Blakely sold large swaths of its Kitsap timberland to Craig Ueland in the past decade.